For corporations preferring one comprehensive solution to cater for all audio needs, the Microflex® Wireless System is the ideal choice. The all-wireless system comprises a complete range of elegant, rechargeable discussion and presentation microphones. Designed to integrate smoothly into the corporate IT infrastructure, it directly connects to AV conferencing systems and further allows IT staff centralized control. 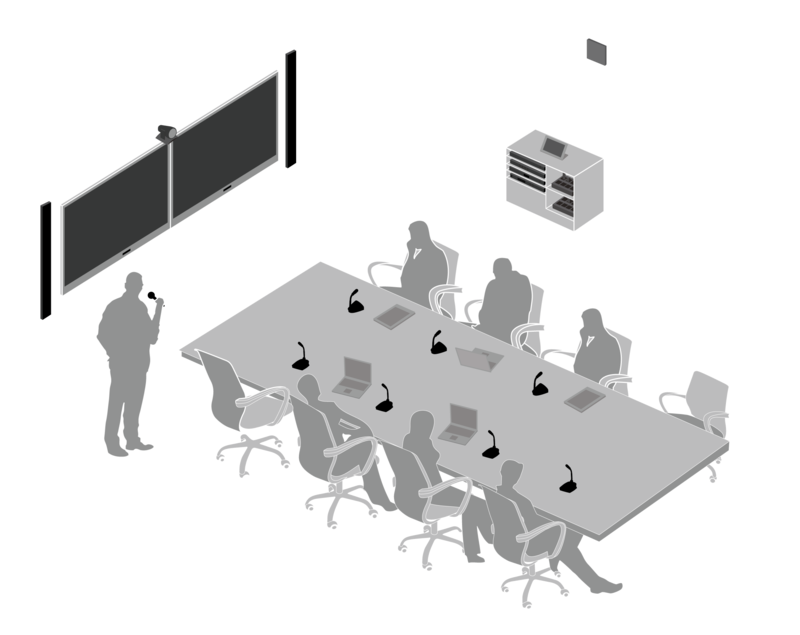 Simple to expand, this versatile platform scales from single meeting rooms to networked, enterprise-wide setups.